During this time, Nova Scotia and Massachusetts shared a common boundary. Nova Scotia's western boundary was the eastern boundary of Massachusetts. showing the location of the Dixson plaque. full military honours on the site of the old parade ground of Fort Beausejour. 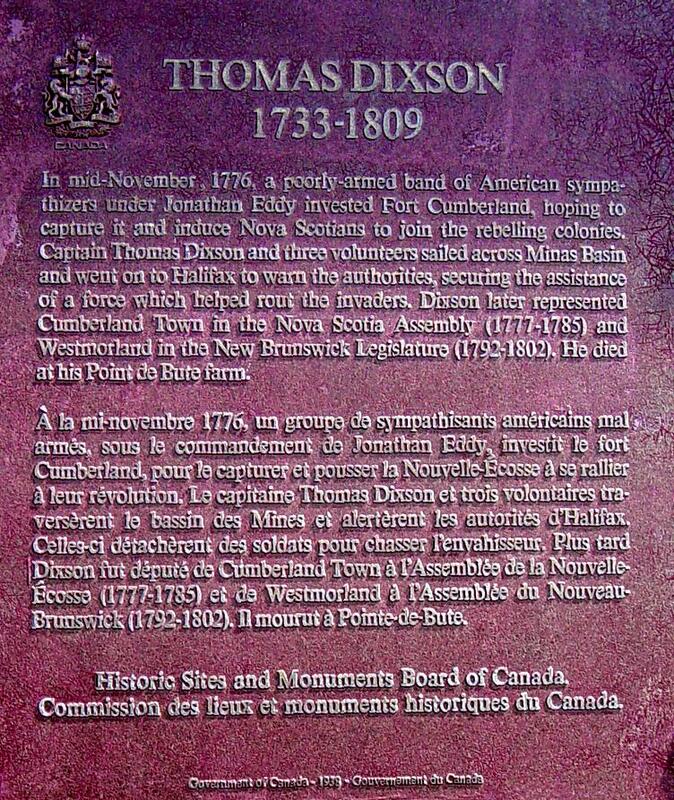 Dixson was praised as "a soldier who saved the Maritimes for the Empire." — quotations from The Springhill Record, 28 July 1938. One is located in present-day Cumberland, Maryland. 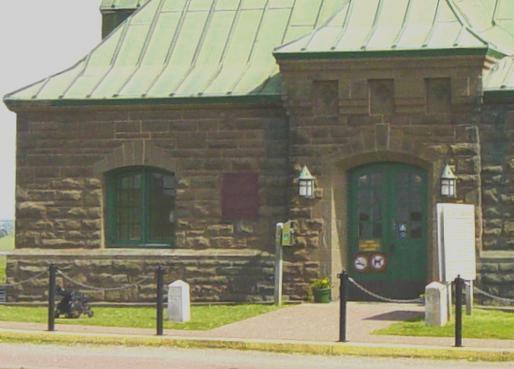 The other is near present-day Amherst, Nova Scotia.